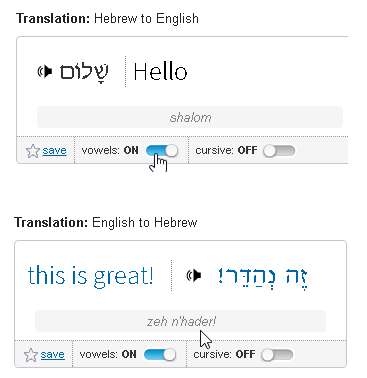 Please follow these brief instructions to view Hebrew Vowels in your translations. View vowels (nikud) for the word or phrase by clicking on the vowels "switch" as shown below. 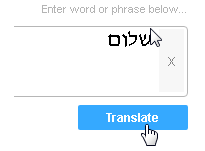 Please note that transliterations are also shown in the light gray box below the words when vowels are turned on.